Sunday Sweets – Where Is My Teaspoon? If ever there is a day to spoil your dinner, it’s Sunday! Once the roast is in, your tummy craves something, but what to have? This Jam Cake recipe (slightly adapted from Mary Berry) is perfect for using up bits of butter you have in the fridge, or even the last bit of caster sugar in a packet. Not all recipes need the full block of butter so my fridge often has 50g of butter here and there that I have to use up. Now, I know you’re all probably thinking that these look horrible and I agree they do look a little bit..rustic but they are yum! Also, for people who like jam, it’s always going to be a winner. This is another very simple recipe. First, preheat your oven to 200 degrees, hot hot! 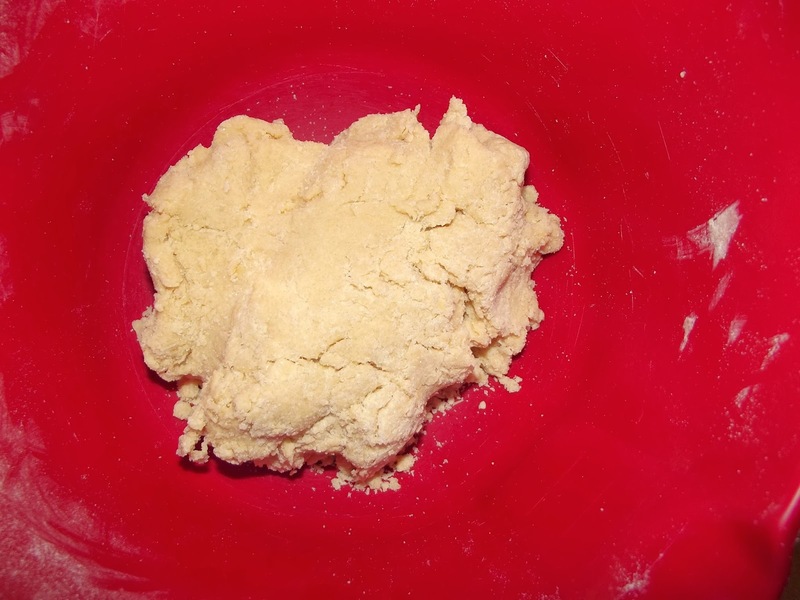 Weigh out your butter and flour and put into a bowl. 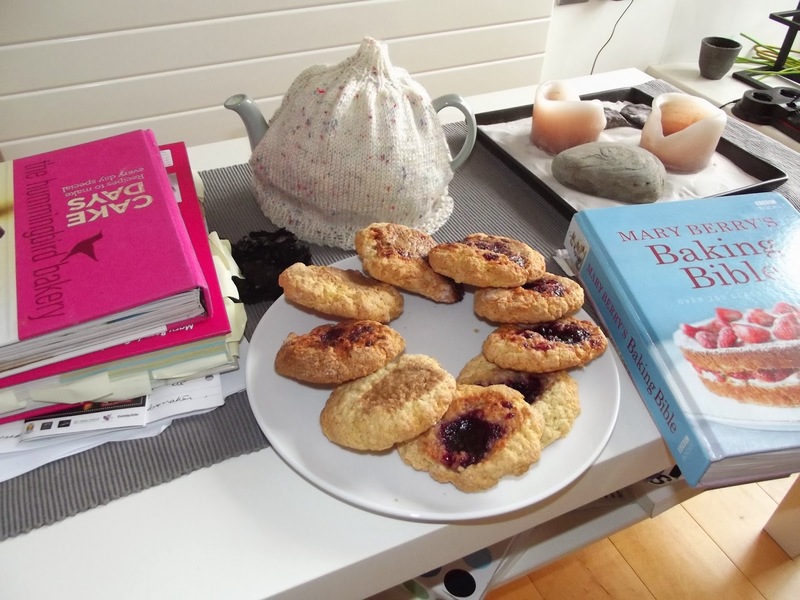 Like in Sweet scones, here we use the run in method. Use your fingertips to rub the butter into the flour until it looks like fine breadcrumbs. Add in your sugar and spice and give a good mix. Next, beat your egg, vanilla and milk together in a little jug. 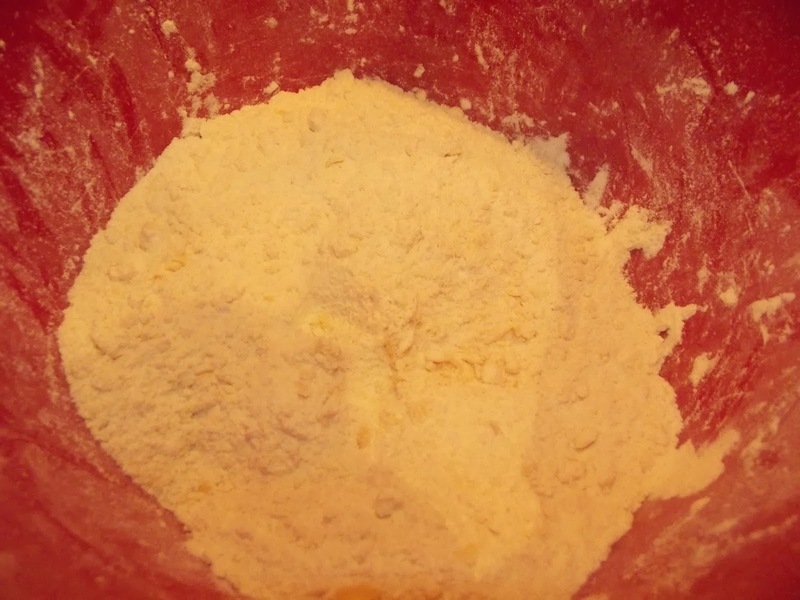 Add this to your dry ingredients and mix together until it forms a dough. You want the dough to be soft but not wet, almost the texture of a dry pastry. Use your hands to make the dough come together, you shouldn’t need more milk! 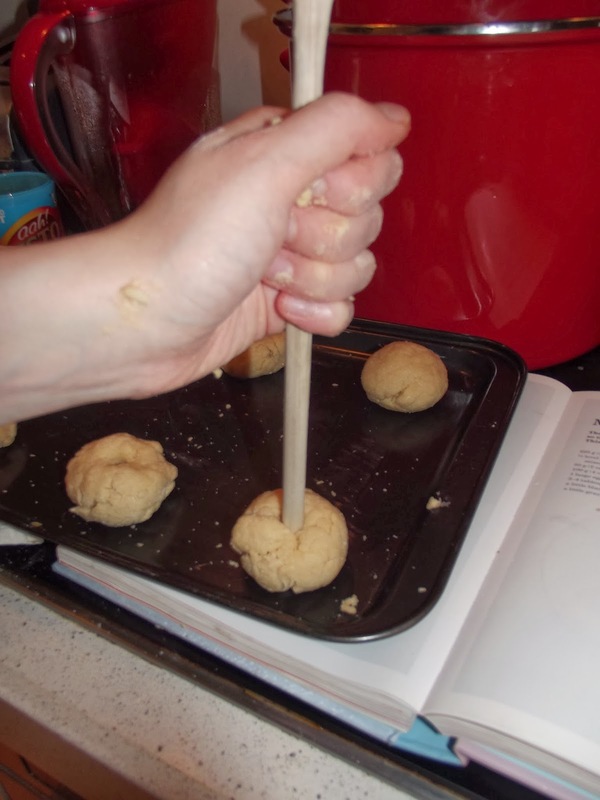 Now you have your dough, divide it into balls. The quantity depends on how big you want the jam cakes to be. I wanted medium today so aimed for the size of a golf ball but if you want smaller think of hazelnuts like we did in peanut butter cookies. Once you’ve rolled the dough into individual balls, line them up on a (LINED) baking tray – you may need two depending on the size as mine expanded in the oven). Take the handle of your wooden spoon and use it to make a hole in each ball. This is where you’re going to put your jam. 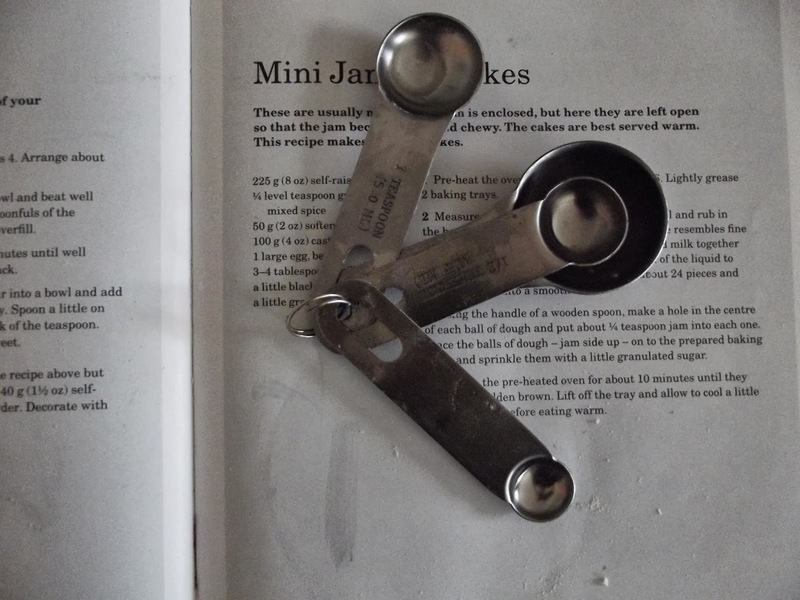 Using a tea spoon, or an espresso spoon is even better, add jam into the holes. 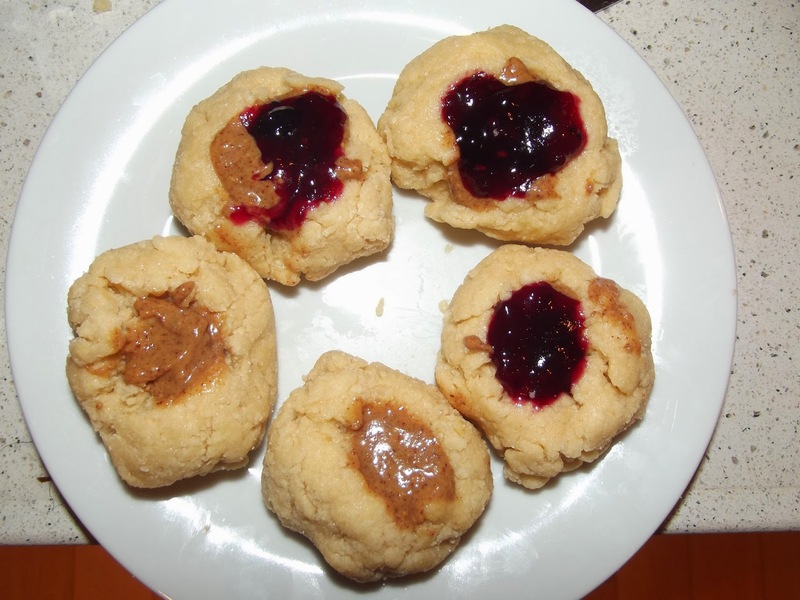 If you like, one spoon of jam and one of peanut butter is always nice. Once you’ve filled every bun, sprinkle some granulated sugar over them. Yum. Place in a hot oven, 200 degree, for 10 minutes or until golden all over. 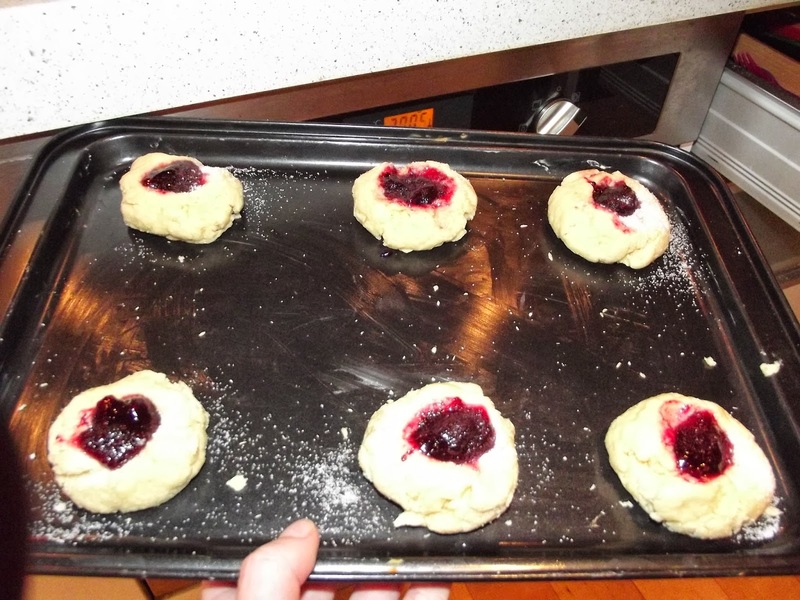 Don’t try and eat them straight out of the oven, the jam will be awfully hot! They are particularly nice warm though. Get your teapot out and eat away. 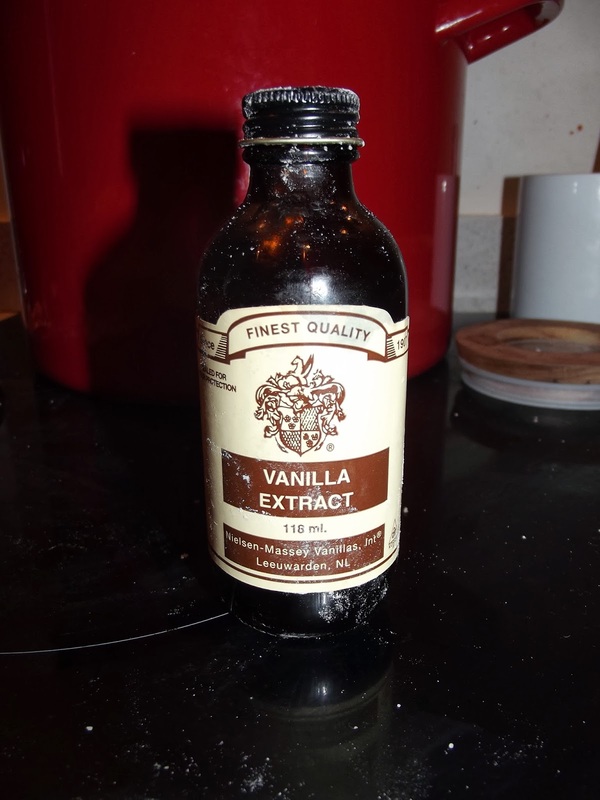 Note: every time I mention vanilla extract on the blog, I am using this product. It costs about €7 in most stores but does last you a lot of bakes so I really recommend it. It has a better flavour than essence which is much cheaper. Another thing I think every baker should buy is a set of spoons. I got this set in Dunnes for €4 so they won’t break the bank! It makes measuring out so much easier and saves a lot of time in the end. Also, it helps me find my teaspoon. Next Post I just want a brownie, right now. Like in my mouth.